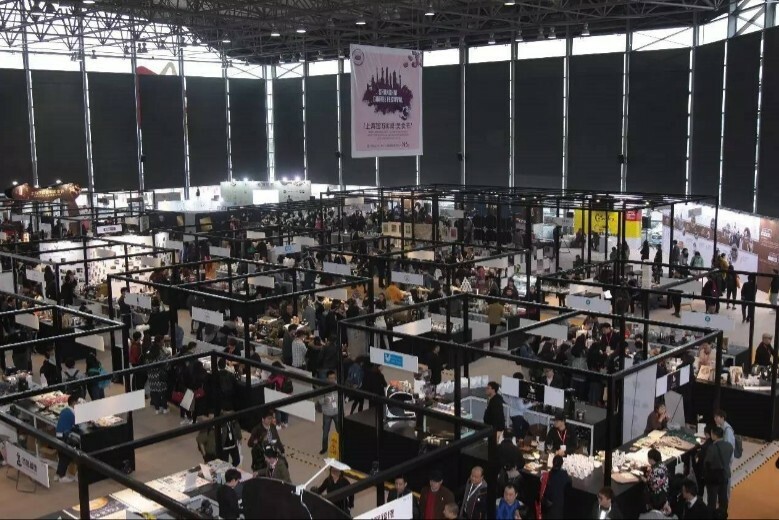 The 26th HOTELEX Shanghai, co-organised by China Tourist Hotels Association (CTHA) and UBM Sinoexpo Ltd., was held successfully at Shanghai New International Exhibition Centre(SNIEC) on 31 March, 2017. As entering the 26th edition, the HOTELEX showed up more distinct growth in every aspect. 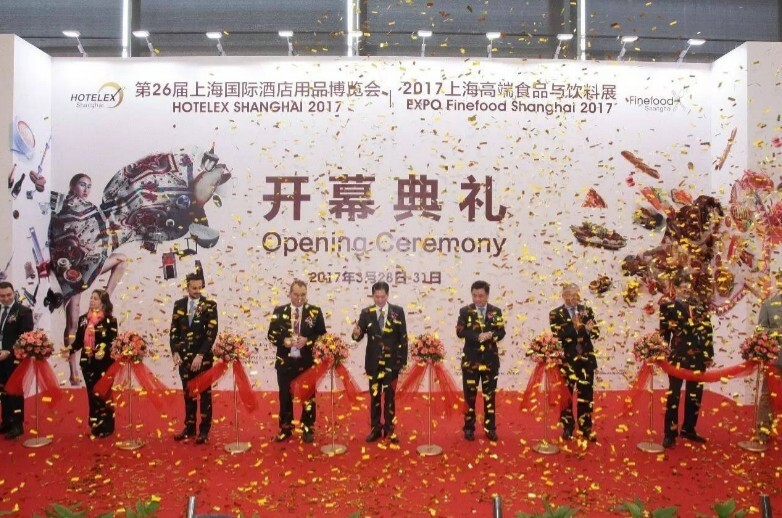 HOTELEX Shanghai 2017, the biggest and the most influential event in the field of high-end hospitality and catering, contained 24 indoor and outdoor exhibition halls with a total area of 220,000 sqm. Renowned for its broad range of exhibits, HOTELEX Shanghai 2017 hosted a number of thematic pavilions covering sectors from Catering Equipment, Hospitality Supplies, Tableware, Textile, Appliance & Amenities, Fitness & Leisure, Coffee & Tea, Bakery & Ice Cream, Food & Beverage, Wine & Spirits and much more. The organisers aim to forge a one-stop purchasing experience for buyers looking for high-end hospitality and catering items. Many industry players from leading hotels, restaurants, treading companies, industrial associations and international delegations were attracted to take part in the various unforgettable championships, presentations, seminars and matchmaking meetings, which played an inestimable role in the development of hospitality and catering industry. As one flagship event, HOTELEX Shanghai 2017 continued to serve as business exchange platform through a plethora of horeca (hospitality, restaurant and catering) products and top-notch industry events. Official figures for HOTELEX Shanghai 2017 had been declared that this year’s show delivered a 22.98% growth in visitors - an impressive total number of 143,500 professional visitors took part in the show of which a 47.49% increase in international trade visitors including 4,814 from 125 countries and regions. 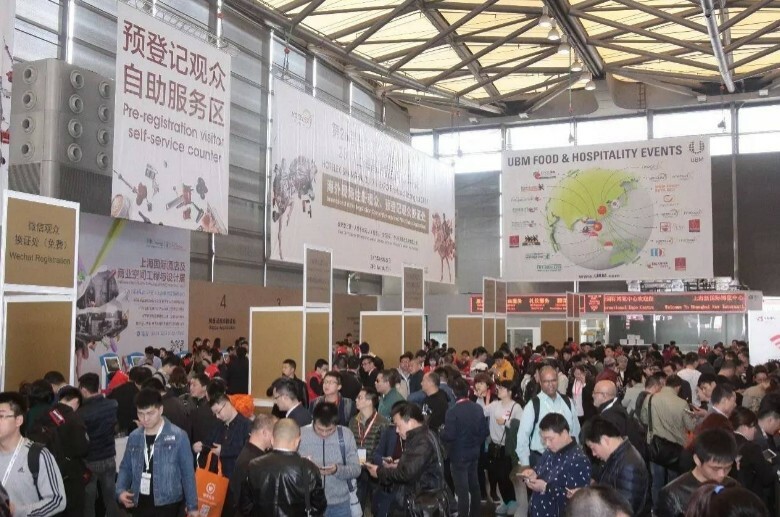 Moreover, the show attracted more than 2,352 leading brands from China Mainland, Hong Kong, Macao, Taiwan, Italy, Spain, USA, Germany, Japan, and so forth. Striving to meet industry demands for more lively demonstrations, HOTELEX Shanghai organised over a number of innovative events onsite. With the rapid development of global catering industry, the market demands of food equipment have been increasing as well. HOTELEX 2017 integrated a large number of international equipment brands, top industry experts in central kitchen field and over 30 strategic partners and supporters in the hall WT1 covering an exhibition area of 3000 sqm approximately. Co-organised by the Smart Kitchen Design Co., Ltd. (SKD), the “HOTELEX Art & Science Kitchen Lab” not only showcased state-of-the-art products and design concepts, but also brought in top chefs from the World Association of Chefs' Societies (WACS) to offer master classes. The “Kitchen Equipment Innovative Design Selection” was co-organised with the Foodservice Consultants Society International (FCSI) to explore and promote innovative products, with the aim of motivating suppliers to engage in R&D, improve product performance and user experience. Perk up the City: Shanghai's Best Coffee Festival! 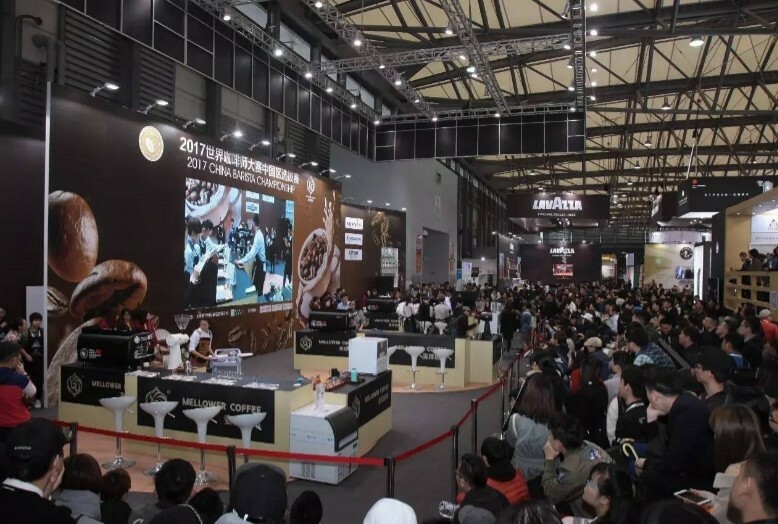 The four-day Shanghai International Coffee Festival was held successfully during the show. The festival gathered dozens of global coffee shops and other innovative fringe products and services like craft beer, art gallery, pop-up shops, etc. in which a large number of international trade visitors, coffee professionals, mass consumers and journalists were attracted to take part. The festival provided visitors with not only lively latte and cupping demonstrations and seminars but also photography art and an opportunity to vote their own favorite coffee shops. In addition, barista could also register onsite to participate in the challenge and championship. The coffee festival contributed an unforgettable opportunity for ordinary consumers to get more knowledge and enhance brand awareness about coffee and coffee culture. HOTELEX Shanghai 2017 also continued to stage specialty events that impressed every exhibitor, visitor, competitor, etc. All of the specialty competitions and exhibits not only integrated the most powerful industry resource but also highlighted each splendid moment onsite. As one of the most eye-catching events, the Coffee events patented by the World Coffee Events (WCE) including Barista, Latte Art, Cupping, Roasting, Brewers Cup and WCE All Stars always gained in popularity. At the same time, the competitors also showed their talent on other events like “The Rising Star” Contest, World of Bread Contest China Selection, China Gelato Championship, “I’m the Chef” Competition, “Kingdom Cup” Trophy of Pastry and Cake Design World Championship, Shanghai Pizza Master Competition, World Pizza Championship China Selection, “King Flower” Shanghai International Fashion Drinks Competition, China Master Bartender Competition, “Wanrun Cup” Star Hotel Service Skill Competition, Hotel Uniform 2017, “Jinhong Cup” Star Hotel Table Art Display Competition and the brand-new Shanghai International Coffee Festival. 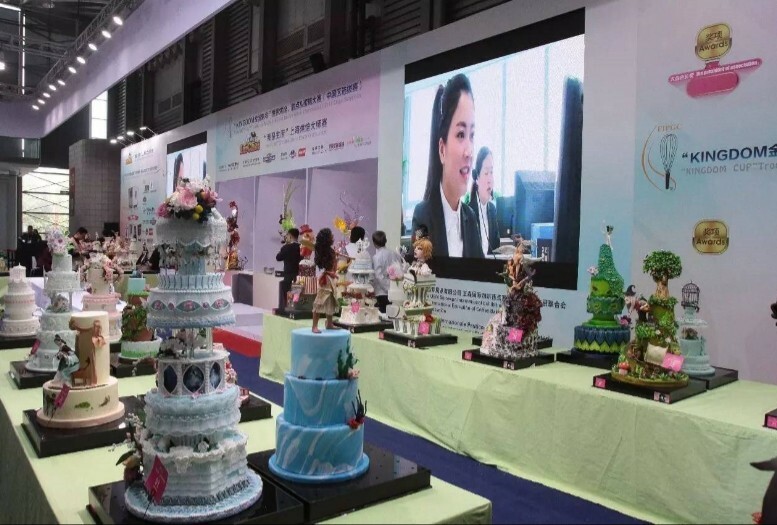 Especially, the winners from the Coffee events, World of Bread Contest, Trophy of Pastry and Cake Design World Championship and Parma World Pizza Championship China Selection will be able to represent China to participate in each world finals, which will offer competitors with more wonderful career and personal honor. As well, HOTELEX Shanghai partnered with Alibaba (1688.com) and launched an online showcase platform to enhance the sourcing experience of global buyers. As one of the leading industrial events, the HOTELEX series, enlarged from one exhibition per year to four exhibitions per year, are developing toward the best events in global hospitality and catering market. HOTELEX are now divided into hospitality and Finefood expo and Hotel Plus – Total Solution for Commercial Properties. The latter is aimed at providing hotel and tourism market with powerful support in infrastructure and related services. Furthermore, Shanghai UBM Sinoexpo Ltd., the organiser of HOTELEX, has been cooperating with AllWorld Exhibitions to restructure and integrate HOTLEX, FHC China and ProWine China, which will formulate a brand-new mega event with a huge projected impact in among of tourism, hospitality and catering industry. * Visit en.hotelex.cn/shanghai-exhibition to learn more. Or scan the following QR code to join HOTELEX WeChat OA. HOTELEX Shanghai is organised by UBM Sinoexpo, which is part of UBM plc. UBM is the largest pure-play B2B Events organiser in the world. Our 3,750+ people, based in more than 20 countries, serve more than 50 different sectors. Our deep knowledge and passion for these sectors allow us to create valuable experiences which enable our customers to succeed. Please visit http://www.ubmasia.com/en-us for more information about our presence in Asia.